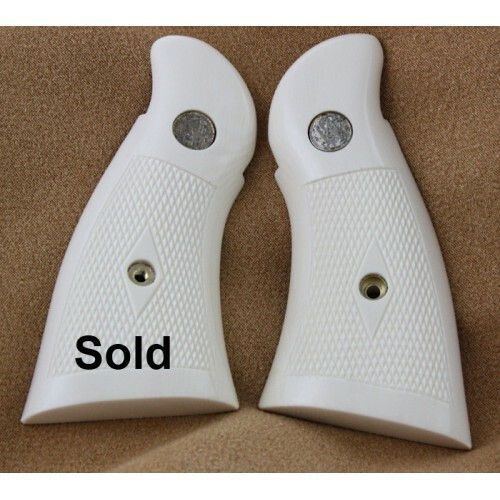 $625 for smooth grips... $770 for grips with hand checkering(AS SHOWN IN PICTURE)... SPECIAL ORDER ITEM...PLEASE CALL...Elephant Ivory Hand checkered S&W Grips. These grips were made for a customer to fit his N-Frame smith. 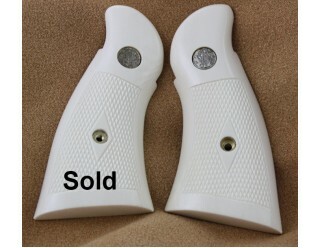 The grips need to be fitted directly to your firearm so you would need to send it to us for fitting. Please call 863 660-8383 or email gene@gunnerproducts.com for information.